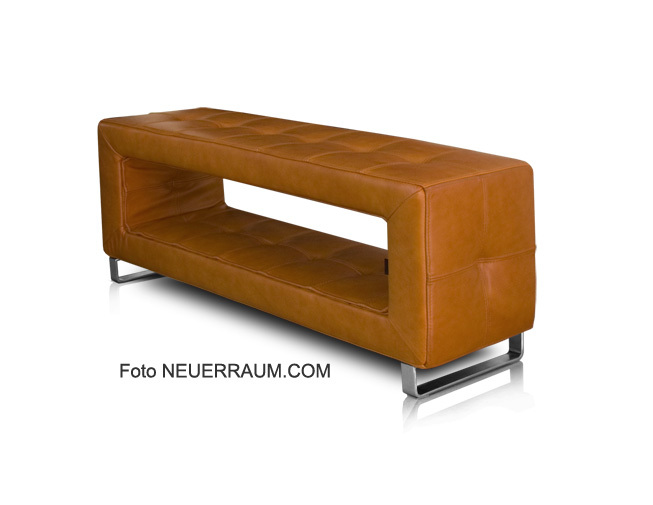 Main page » Leather & Steel Benches » Thin storage leather bench. Illustration in real leather tan brown. Thin storage leather bench. Illustration in real leather tan brown. You never saw this exciting design before? 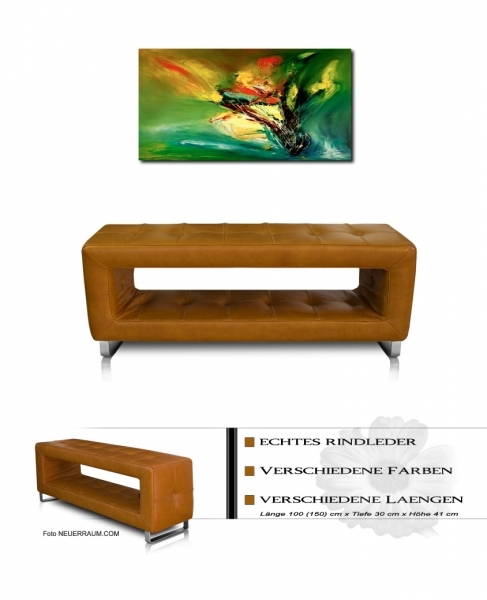 That's true, because it will be produced just for our shop NEUER RAUM. Extremely stabel but also very filigree, our mastership of craftsmanship with fine leather. With a depth of just 30 cm it is this leather seating bench suitable for small entrees also.